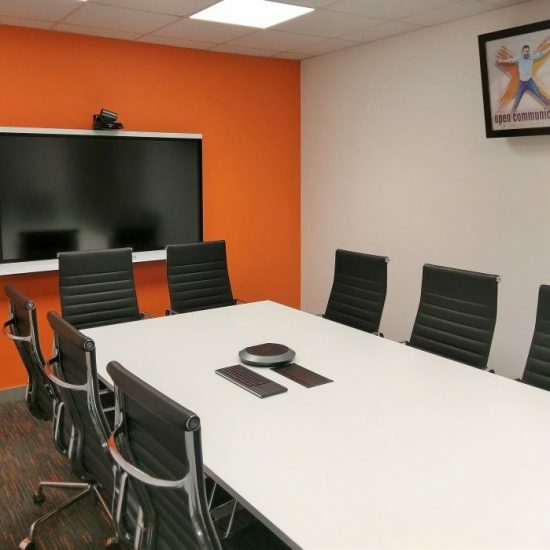 Since Midwich Ltd moved into Bounty House over seven years ago much has changed, however the existing boardroom, meeting and conference facilities haven’t. It was time for an upgrade. 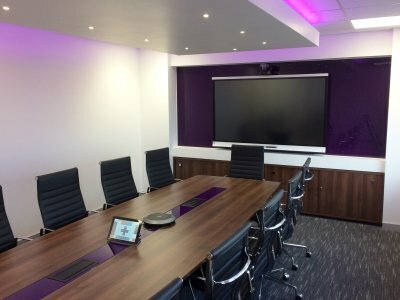 Private meeting spaces and conference facilities are becoming more in demand with advances in the rapid increases in technology. 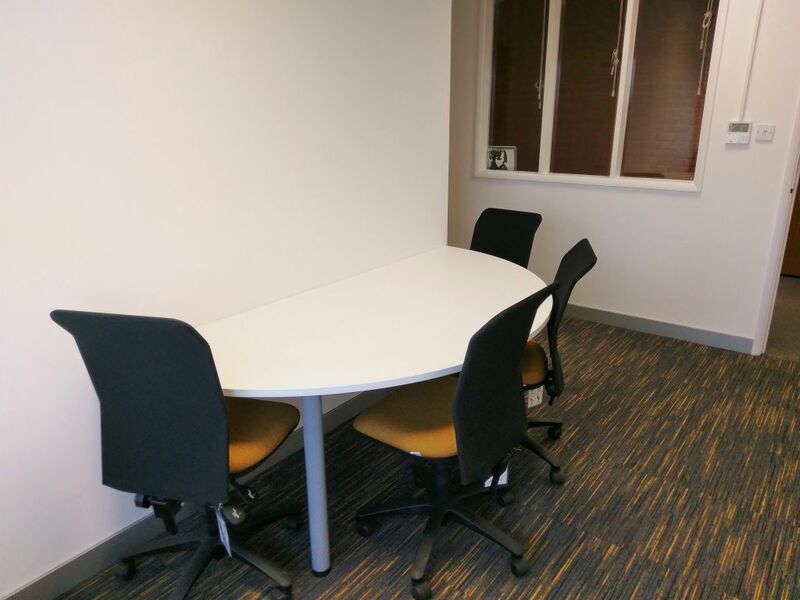 The design phase was crucial for this refurbishment section of this project. 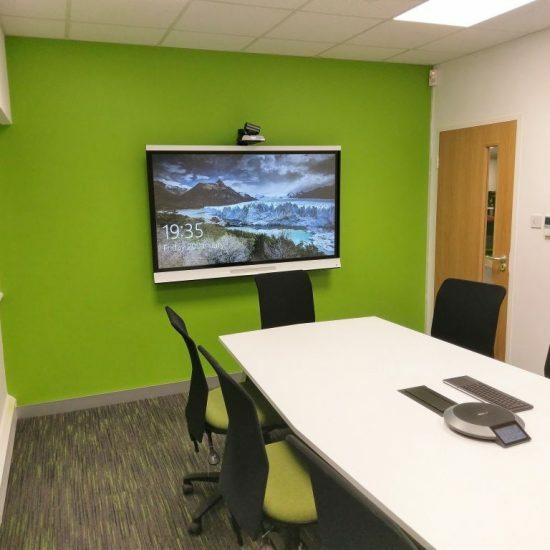 This ensured that every detail, not only in aesthetics, but also practical terms was able to be paired together to deliver a finished refurbishment which not only looked great but worked too. 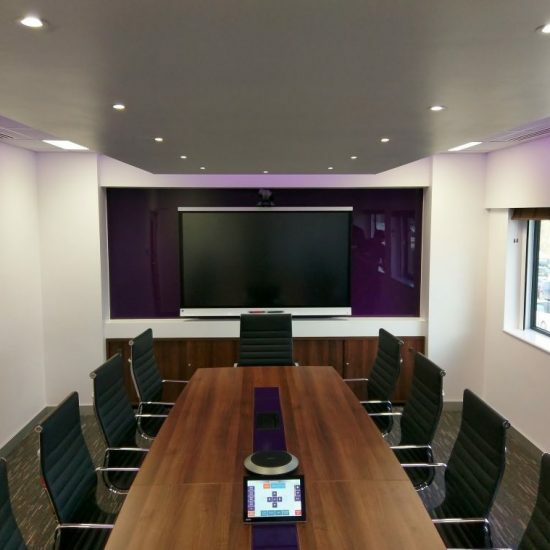 The main features of this boardroom refurbishment were the central drop down suspended ceiling detail with inset spotlights to match the boardroom table. This was also lit with custom purple ribbon lighting along the shadow detail. 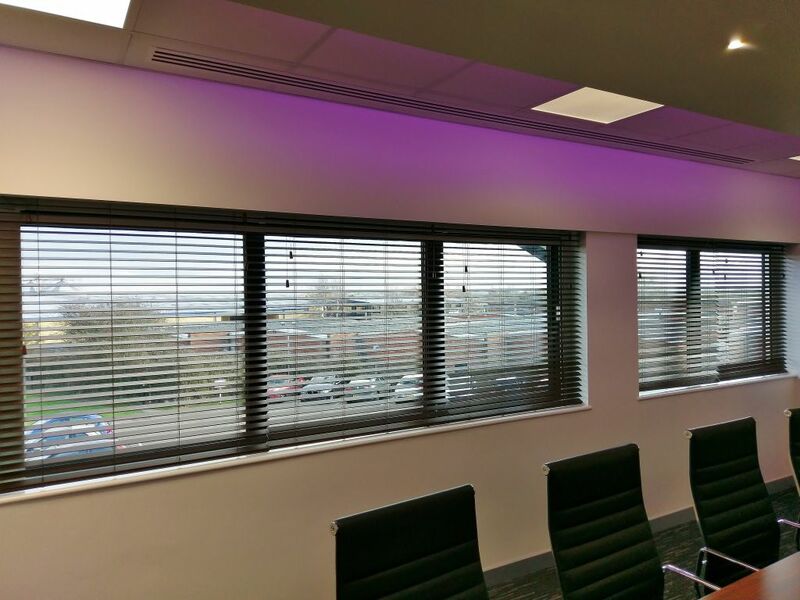 A suspended ceiling surrounded this to provide access into the ceiling void for servicing and maintenance as well as a place to mount the linear grille air conditioning. 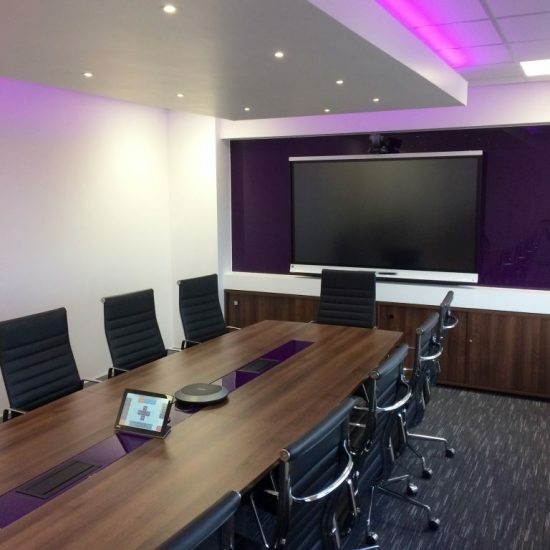 The boardroom table was selected in a wonderful walnut finish and was modified to include a one-off bespoke purple acrylic insert to mount all cable management and electrical services as well as re-using the purple acrylic to match the AV wall. 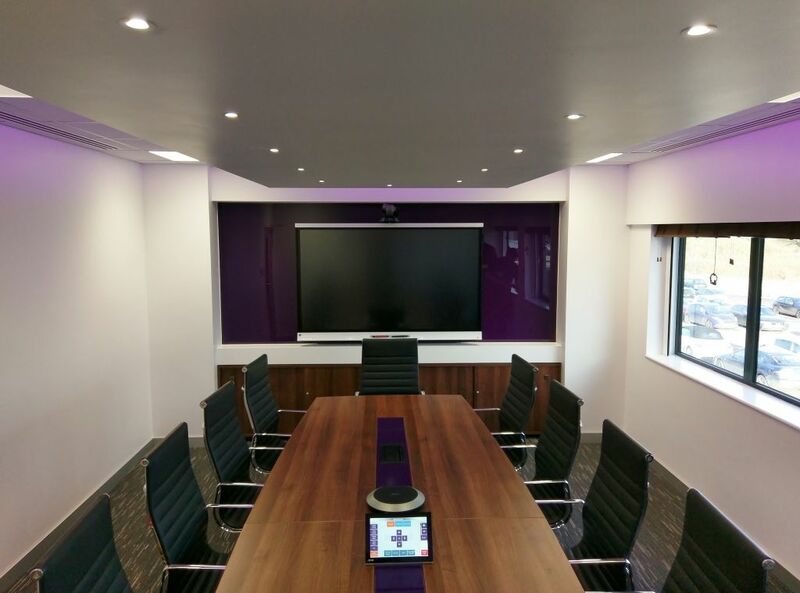 The AV wall was built to provide housing to all AV equipment with hidden but still accessible cable management. 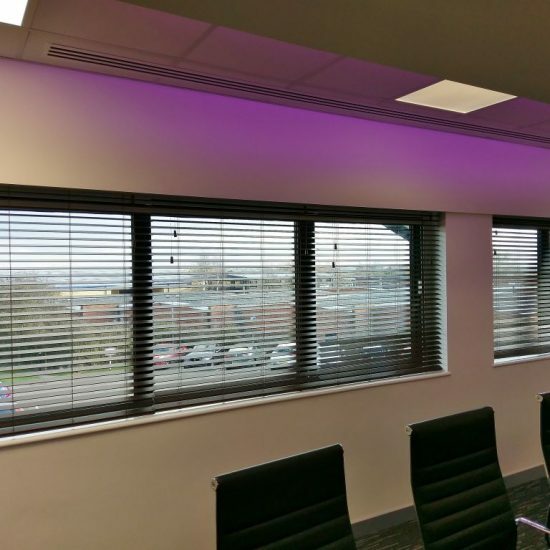 Electrical powered blackout rollers blinds were also installed to the external windows linked together to work off one central control. 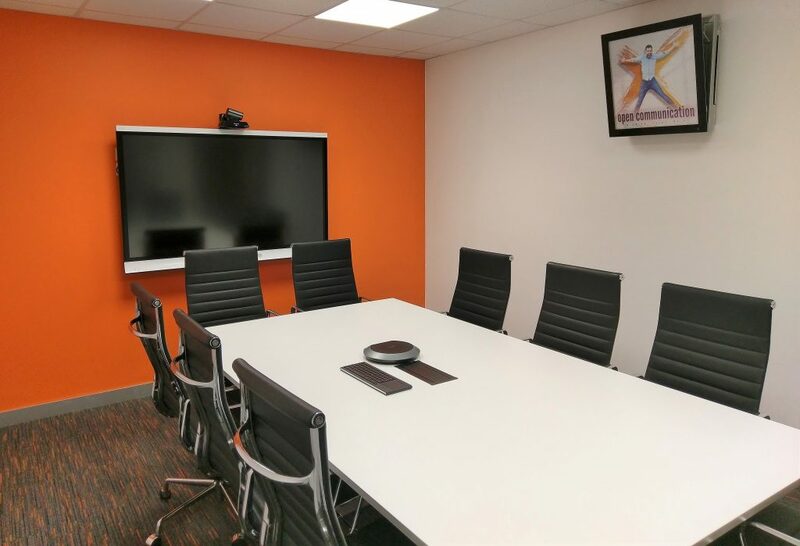 The meeting rooms also received a makeover with each of the three rooms following an initial make-good and decorate to all the walls including fresh plaster to some walls ready for write-on wall paint to be applied. 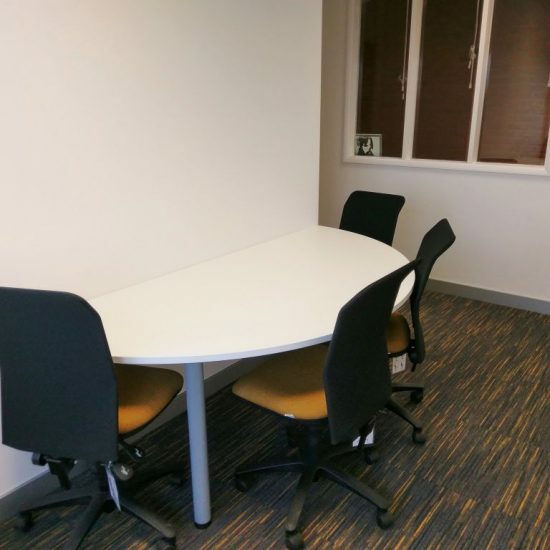 The rooms were fitted out with new British manufactured furniture in a crisp, clean white finish with polished chrome leg details complete with chrome framed ribbed back seating. 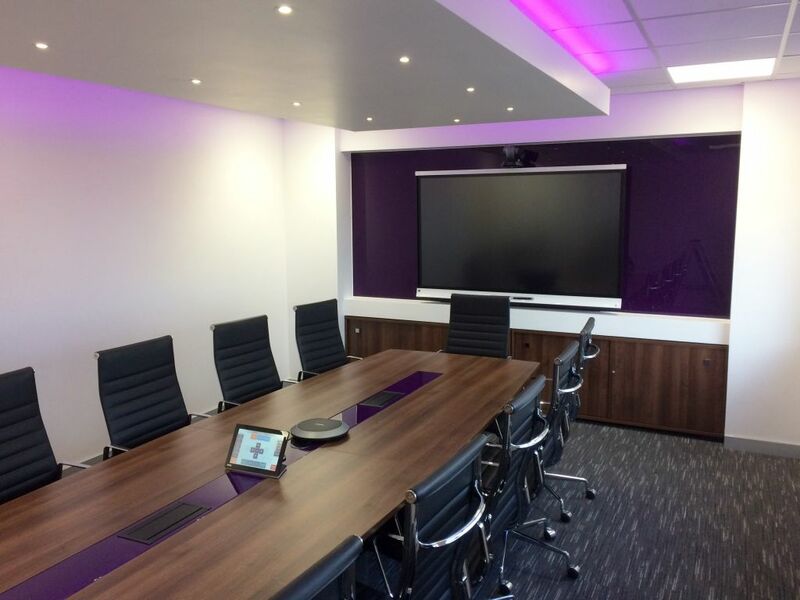 Each room was assigned a specific colour picked out in the carpet finish, feature wall and seating fabric. These colours matched the ones previously used on the main sales floor. 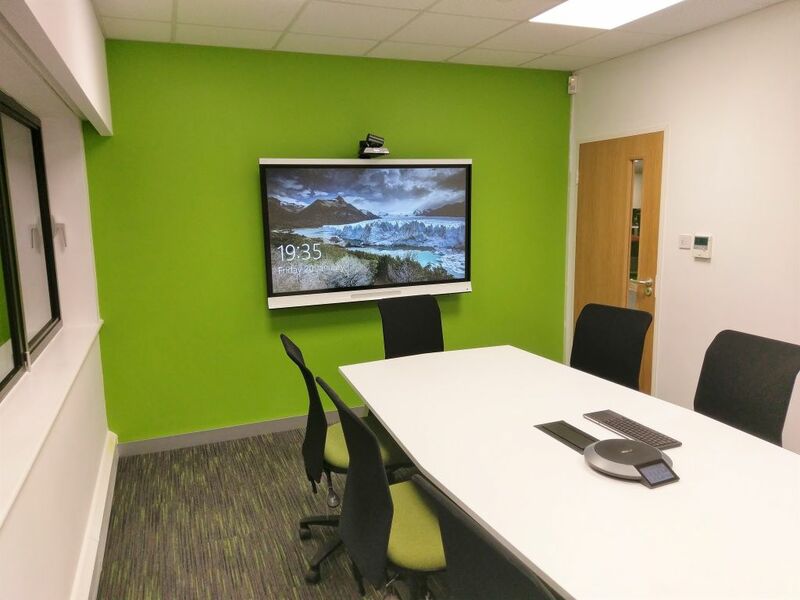 To complete the meeting room refurbishment all new AV and conferencing equipment was installed to the newly decorated walls and meeting room furniture.